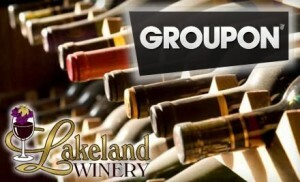 Our latest Groupon deal is for up to 15 people to make 30 bottles of the award-winning Island Mist wines. Up to 15 people come together to make 30 bottles of Lakeland Winery’s award-winning Island Mist wines under the guidance of passionate oenophilia. The five-step winemaking process is simple and engaging; it involves slowly mixing water with bentonite, juice, and then other ingredients such as elder flowers or oak. Later, after fermentation, groups will cork and label each bottle to take home. Groups are encouraged to bring their own hors d’oeuvres to the party. Lakeland Winery’s expert wine makers guide you through the five-step winemaking process. Bring your own hors d’oeuvres to the party. Island Mist combines the crisp freshness of distinctive varietals wines with delicious fruit flavors.